People who donated $ 1000 or more, their names are listed in red color. 29-Naim Ibrahim Khalifa Ziadat & Sons. In memory of Ibrahim Khalifa Ziadat & Souad Dakhlalah Neemat / Fuheis-Jordan / $ 20000.00. A Special thank and appreciation to the parish and pastor of the Good Shepherd in Yonkers, New York. Father Sami Totah, from the Latin Patriarchate clergy, is the Parish Priest. The support of Yonkers faithfuls, in particular those originally from Fuheis is so important, because it means close connections with their homeland based on spiritual and human deep roots. Many means and ways could do charity. So, people of the Good Shepherd Parish decided to build up with us the Church of Fuheis, seeking by that the Glory of God. God is love , by loving Him and taking care of His Church, you are, dear people of Yonkers, on the right way! لقد نعمنا هذا الصيف برؤيتكم مرارا في رعيتنا في الفحيص، ومن خلالكم والتواصل معكم تزودنا بأخبار أهلنا وأحبائنا في رعيتكم الكريمة. وقد وصلنا من يدكم الطيبة ما جادت به قلوب أبنائنا وأهلنا في رعيتكم العامرة . 123- Rev. Father Youssef Salameh Nemat, Knight of the Holy Sepulchre & In memory of Salameh Sleiman Nemat & Fodha Alkhoury Jeries Alshtaiwi / Fuheis - Jordan / $ 19859.00 . The donation of Rev. Nemat encloses $ 9859.00 cash & a church organ ( estimated coast $ 10000.00) . Also he donated to the church of Alali a computerised church bells ( estimated coast $ 5000.00) . 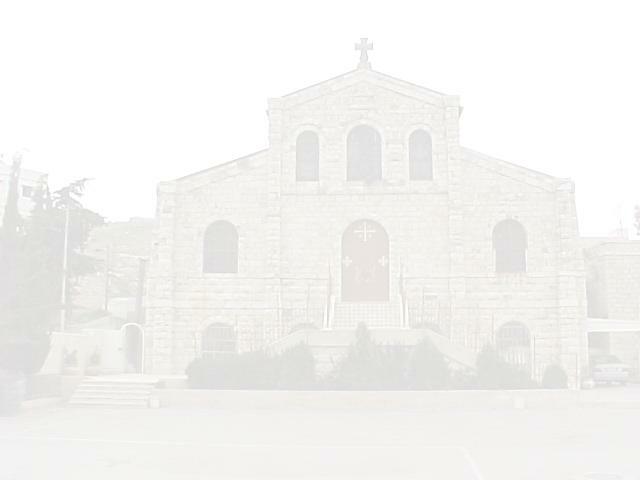 The church of Alali is dedicated to Saint Mary Mother of Graces. This church was built in 1986 by a gracious donation of Rev. Nemat. Dear Mr.President, Samih Ayed Sweis, & Members. A Special thank and appreciation to The Fuheis American Association: Mr.President, Samih Ayed Sweis, & Members. Chicago IL, USA. Your support ( total amount $ 20525.00) is so important, because it means close connections with your homeland based on spiritual and human deep roots. Many means and ways could do charity. So, people of the of Fuheis American Association decided to build up with us their Church , seeking by that the Glory of God. God is love , by loving Him and taking care of His Church, you are, dear people , on the right way! 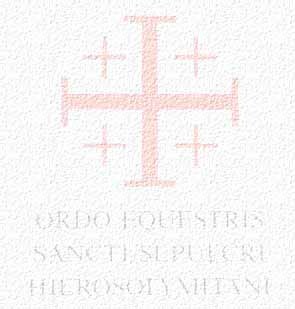 The Equestrian Order of the Holy Sepulchre of Jerusalem always supported the Latin Patriarchate of Jerusalem. It is a long history of love , charity, friendship & commitment toward the Holy Land. On behalf of the Latin Parish in Fuheis we thank Sir August Paul Brenninkmeyer, who is a real friend of our Parish and Schools.